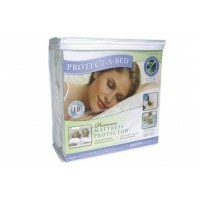 The Premium mattress protector is a popular choice in Protect-A-Bed's® line of mattress protection products. Our Premium mattress cover features a cotton terry surface for superior comfort and excellent absorbency. In addition, the Premium mattress protector is backed with our exclusive Miracle Membrane®. Miracle Membrane® is waterproof while remaining air vapor porous, and allows body heat to easily pass through. The Premium waterproof mattress cover also serves as a barrier for dust mites and allergens, which provides for healthy, irritant-free sleep. A fitted sheet-style ensures a snug fit on any mattress with easy removal and re-use. There is no better protection for your mattress than Protect-A-Bed's® full mattress encasements. Our encasements ensure total protection from allergens, dust mites and bed bugs. We provide both mattress and box spring protection for a completely healthy and allergy-free sleep environment. 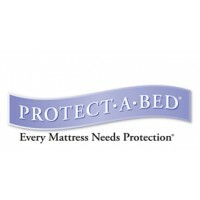 Protect-A-Bed® allergy control bedding prevents bed bug bites and protects against allergens while significantly extending the life of your mattress and box spring. For chronic allergy sufferers, there is no better solution than a full mattress encasement and box spring encasement. 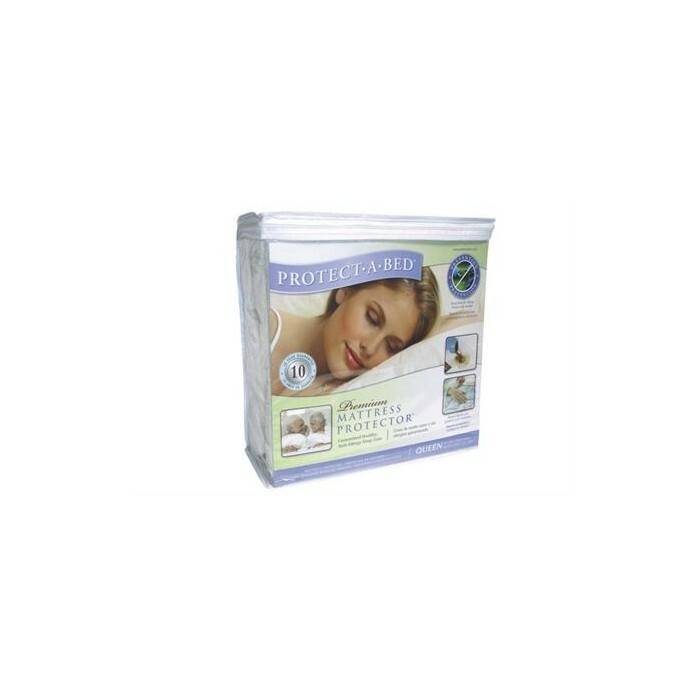 Protect-A-Bed® anti-allergy bedding features complete protection from allergens such as dust, dust mites, dead skin, pet dander and pollen. A typical mattress cover cannot prevent allergens from your mattress from coming in contact with you. With the impassable material of our full mattress encasements, you can rest assured knowing that you have superior protection against any allergens within your mattress. Protect-A-Bed® mattress encasements feature our Patented BugLock® three-sided zipper system with SecureSeal™. Our allergy control bedding is bed bug entry, escape and bite proof for your mattress. Protect-A-Bed® AllerZip® mattress and box spring encasements are one surefire measure to prevent bed bugs from affecting your life by putting an impenetrable barrier between you and the parasites. In fact, Protect-A-Bed® encasements are the only product scientifically proven and independently tested to eliminate bed bugs from bedding. The full line of Protect-A-Bed® anti-allergy bedding products ensures that you can benefit from healthy, hygienic and allergy-free sleep like never before. Our AllerZip® products, mattress encasements and box spring encasements can alleviate the millions of allergy sufferers from their nightly interruptions and also aide in preventing bed bug infestation in the mattress and box spring. Browse our selection of allergy control bedding today to get the perfect, sanitary, allergy-free sleep environment you have always dreamed of.